When we think of the future it’s easy to leap to advances in technology as the main driver for change. 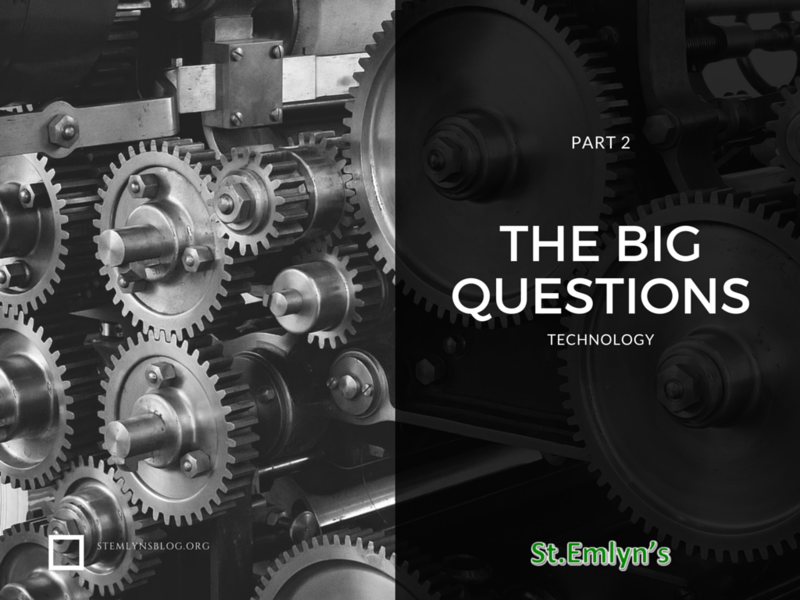 However, as we have seen in part 1 there are other factors that will drive the practice of emergency medicine, most notably the patient population we serve, but that’s not to say that technology won’t have a place in our future practice. This blog explores the different ways that technology might shape the future practice of emergency medicine. I like to think of this as the three Rs; Refinement, Revision and Revolution. Refinement of technologies, where we make small changes to improve the design and function of our diagnostic and therapeutic technologies (think video laryngoscopy). Revision is when we change our practice on the basis of new discoveries that give us more diagnostic or therapeutic power (think introduction of high sensitivity troponin). Revolution takes place when a new disruptive technology enters or practice that revolutionises the practice of emergency medicine (think point of care ultrasound). The three Rs are somewhat arbitrary but I hope reflect the very broad nature of technological change. Perhaps an example of your care will help. When first produced, the motor-car was a revolution in itself, a new way of transporting people and goods that heralded the end of traditional technologies such as the cart and horse. Subsequently, there have been many revisions improving the performance of vehicles, but not so much as to fundamentally alter their prime function. Anti-lock brakes or seatbelts, turbos that have all changed the way we drive, but despite these revisions a car is still a car. Finally, refinements take place constantly in the pursuit of style, ergonomics, economy, performance or any other aspect of technology. The car is but one example of how technology pervades our lives and whilst step changes in practice – the revolutions – are rare and infrequent, the slow and steady pace of revision and refinement change the way we practice, though there is a price to be paid for such progress as we will discuss below. If we are to understand the influence of future technologies then perhaps we need to think about the past for clues to what’s around the corner. Real disease, probability of disease and pre-disease. When I started in emergency medicine (back in 1992) we generally dealt with people who ‘had’ disease. Patients presenting to the emergency department were sifted, fairly rapidly and with little in the way of investigations (if we were feeling kind we might take the bloods for a patient who was going to be admitted), into those in whom we could demonstrate disease vs. those who we could not. For our trauma patients this was pretty easy, but for medical patients things were really rather different. I remember seeing a 65 year old man with chest pain. He had fairly typical symptoms of angina, but these had resolved earlier in the day, the sort of patient we might now label as a low risk patient on the basis of history and physical findings. His ECG showed some marginal ST segment flattening, and bloods taken on arrival showed no change to his creatine kinase, LDH and AST (for the youngsters – that’s what we did before troponins). An ECG taken a few hours after arrival looked pretty much normal. I remember trying to refer him to the in-hospital medical team, but to no avail. Although I had concerns that he might have had a small cardiac event, I was unable to demonstrate it. He, like many of the patients we saw back then, did not manifest disease. We worked primarily on a rule-in strategy for admission and treatment. A week later he returned with an anterior myocardial infarction wherein he was admitted and to be honest we did not think that much about it. It was not considered an error at that time as the patient had not manifested disease when they presented to the ED. The question for me back then was ‘is this patient having an MI now’, if not and if I could not convince the inpatient teams then that patient went home. Contrast that story with what would happen if that patient arrived in Virchester ED today. It’s almost inconceivable that we would send them home without further testing to determine if they are risk of a significant myocardial event. They would get an immediate ECG that would be read by someone trained to do it. If that were not diagnostic they would then go on to further testing to rule out or rule in myocardial damage. So, the approach today would be different, but is this a real change? We could argue that the question is the same – ‘Does this person have myocardial disease’ – but that we are using the better technologies of today, (troponins etc…) to detect smaller and smaller degrees of that disease. I think you could make that argument, but I think it’s more subtle than that. What we now seek is not evidence of disease, but evidence for the probability of disease in the present and near future. Our patients with minimal rises in troponin are those at risk of a significant myocardial event (MACE criteria) in the future, rather than a more proximal major event. Similarly, consider our approach to the management of pleuritic chest pain. In the 90’s we really didn’t diagnose PE unless it was markedly clinically manifest with cardio-vascular effects and/or hypoxia. In the modern era our approach has shifted to investigate and subsequently treat a much broader range of patients. The entry criteria for starting the diagnostic process are much broader and our perceived significance of lower manifestations of disease is greater. PE is a good example as it is evident that our pursuit of ever smaller degrees of pathology may even push us into harming our patients through unnecessary therapy. This is not the time to debate whether these are wise strategies, suffice to say that I think we are in a wave of over-diagnosis. From a historical perspective it looks as though we have moved from a position of treating manifest disease to one of investigating possible disease. The point being that we have moved from a time of ‘clinically apparent disease’, to the present where we increasingly deal with the ‘probability or possibility of disease’. There are similarities though. The modern era and the start of my career have a shared starting point of a patient with a sign or a symptom. In emergency medicine we work as reactionary physicians, we deal with problems as they arise in our patients. Our patients come to the ED for a reason, and that is almost always because they have noticed a sign or a symptom. This fundamental reactive tradition in medicine is about to be challenged and the future may be very different. New technologies increasingly allow the remote and concurrent monitoring of various physiological parameter, developing the potential to not just help interpret disease but also to perhaps even predict it before it becomes manifest. Take cardiac monitoring for example. We are probably all familiar with the technologies of the Holter monitoring apparatus, a device that allows monitoring of the ECG to detect dysrhythmias. It’s now fairly mainstream technology, but in its day it was a revolution. It’s still in widespread use but requires a degree of specialised equipment, expertise in setting it up and a system to download and interpret the data. In recent years we have seen the growth in the use of implantable loop recorder devices which allow more data to be recorded over a longer period of time, and which can be downloaded remotely. This improvement in technologies has led to changes in EM practice. 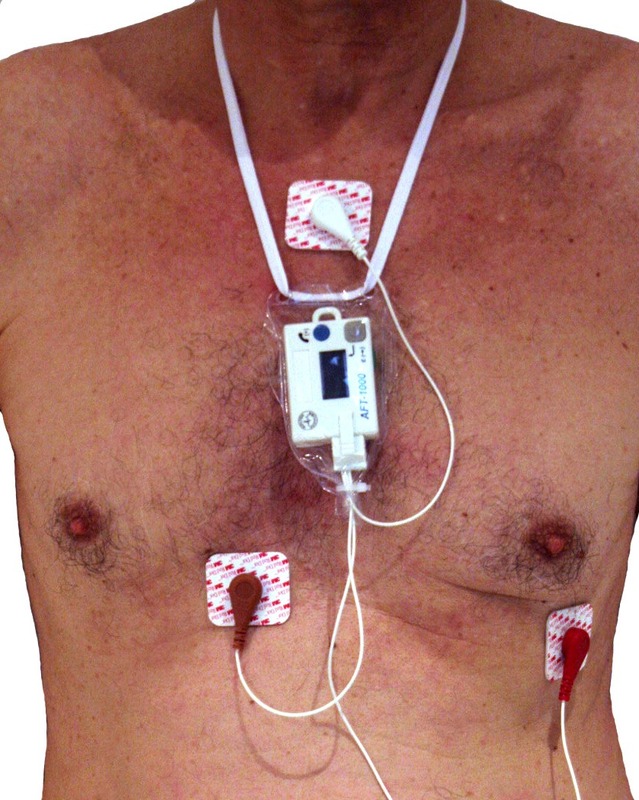 Patients with implantable loop recorders, pacemakers or implantable defibrillators can have their episodes downloaded and diagnosed in the ED. 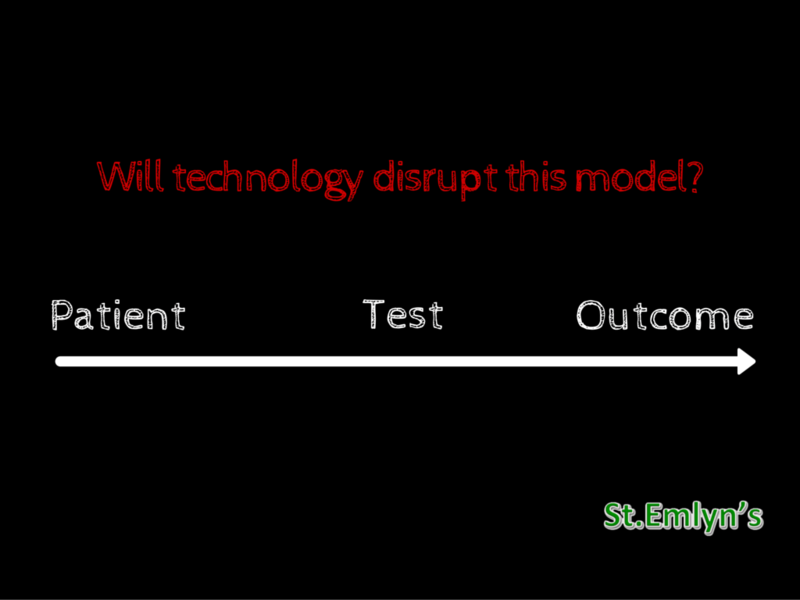 What of the future?Are we about to enter a new phase in technology driving the practice of emergency medicine. I think we might as the possibilities for remote monitoring improve. Let me explain. Disease is the manifestation of pathology. Our practice is based around patients with symptoms or signs who may or may not have an underlying pathology that we seek through our clinical skills and diagnostic instruments. However, we are now entering a phase that includes the potential for pre-manifestation diagnosis. The power in your pocket, i.e. the smartphone combined with the public’s fascination with health related technology and apps is just a small step away from the world of pre-disease diagnosis, and in fact it’s already here. This is the Kardia app and transmitter that links to your smart phone. For £85 you can have a recordable, self analysing, self directed ECG rhythm monitor in your pocket. In fact, you can even now have this based on your iWatch. A constant monitor of your heart rhythm and morphology accessible to anyone who can afford the original smart phone. Obviously I have no financial interests in this (apart from the cash I paid to give it a try for this blog), but I thought it’s useful here as a demonstration of the move in monitoring technology from the clinician to the patient and near devices. It’s still early days as yet and the technology has its limitations but we can clearly see a direction of travel here for the diagnosis and monitoring of disease and pre-disease. This heralds an era of patient led monitoring, most obviously for cardiac disease, but with technologies such as the Google contact lens which can wirelessly monitor blood glucose, we have the potential to detect pathology before it is manifest in a way that has not been seen before. 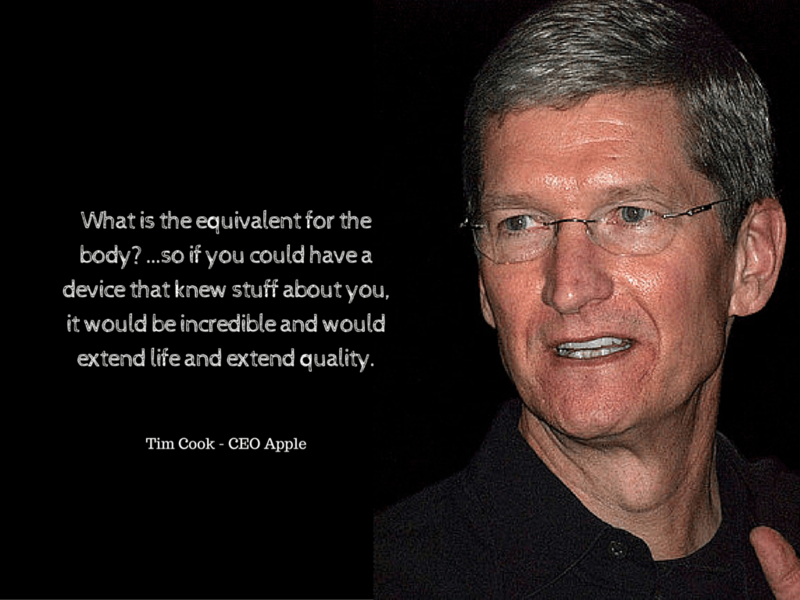 Apple is actively hiring bio-technologists and researchers to develop better monitoring and interpretation of bio data. There is a huge push on this at the moment in the major tech companies and I believe that there are some immense opportunities that may open up in the next 5-10 years. Apple is leading with relatively basic technologies such as care kit which helps patients understand their health but the aspiration is clear in linking bio-monitoring devices to smartphones, smartwatches, the internet and on-line monitoring and analysis. IBM is similarly engaging with the health care community through its artificial intelligence system Watson as a future way to improve diagnostics. It seems that all the big players in technology see future healthcare, and especially diagnostics, as an area for significant change and development. If you don’t believe me just listen to Tim Cook from Apple in this interview from the Netherlands in 2016. The bottom line is that we may be entering the era of pre-diagnosis and thus we can foresee a time when patients may present to the ED symptom free but with bio data that predicts the onset or probability of disease. That’s going to be a huge challenge for us as clinicians as it is a paradigm shift in our practice. How are we going to handle the asymptomatic patient with runs of VT, the patient who presents with chaotic blood glucose or the patient who presents with bio data predicting that they are likely to have a myocardial event in the next 12 hours? The possibilities of how this might change healthcare behaviour, and how it might influence ED attendance, or the legal manifestations are both amazing and terrifying. Whilst the potential for early intervention and surveillance could be welcomed, the likelihood of anxiety, increased emergency visits, costs and over-diagnosis cannot be underestimated. Supporting diagnostic intelligence, complexity and uncertainty. We are clever people – right? Of course we are. We pride ourselves on our abilities to handle complex information and revel in skills at interpreting uncertainty and probability. 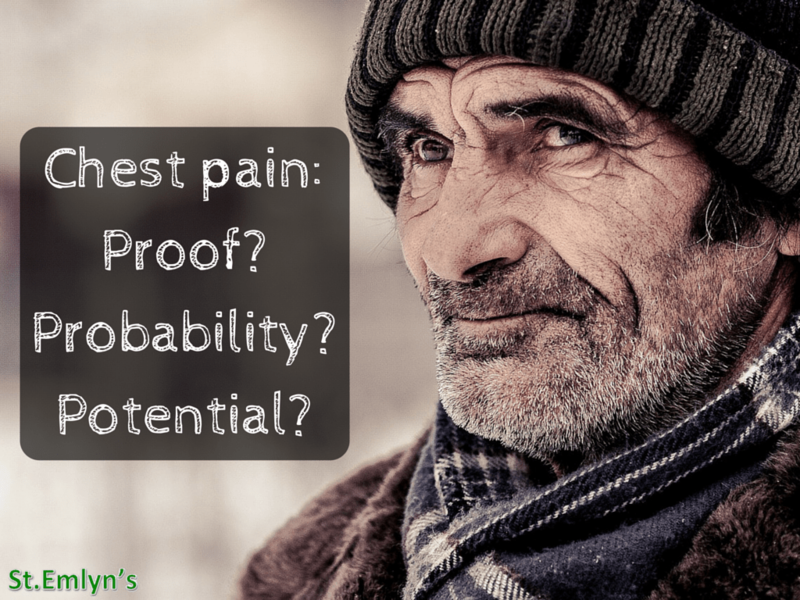 I have often argued that great emergency physicians can do this well, that they learn to navigate the path of probability, uncertainty and variability that so often typifies the emergency medicine challenge. We feel this most keenly in the diagnostic process (Ed – well at least you should, if you’re always certain about your diagnoses then you should be uncertain about yourself) where judgements need to be made that do not always fit into a rational and careful approach. Here at St.Emlyn’s we have embraced a Bayesian approach to diagnostics. This requires us to be able to estimate pretest probabilities of disease and then to rationally apply tests, the performance of which is known, to create a post test probability that we can then use to rule in/out diagnoses and thus guide therapy. For some conditions this does appear to function reasonably well. Where objective scoring systems exist, for example in possible deep vein thrombosis, then we can rationally apply tests, with predictable outcomes. A low risk patient can have a d-dimer to rule out a DVT, whereas a high risk patient cannot. Even with this relatively simple approach I see clinicians struggle, but this is a very low level of diagnostic complexity or uncertainty. Most of the conditions we try to diagnose are far more complex than the somewhat algorithmic DVT protocol. In complex conditions the probability of disease itself appears to change over time as new information emerges along the diagnostic pathway. Take cardiac chest pain as an example. It’s common, partially protocolised and familiar. Typically, a patient who arrives in the ED with chest pain can have a rough estimate of the probability of significant cardiac disease purely based on historical data from the population of patients who arrive in the ED with that symptom. As soon as we ask any further questions, or receive any diagnostic information, as factors in the history emerge, as an ECG is taken, as other diagnoses are ruled out (e.g. via CXR or clinical examination) then the probability of disease for the individual patient also changes both in absolute probability and in the level of uncertainty associated with that prediction. Imagine Mrs Miggins who presents with chest pain at the age 55. In Virchester her pretest probability of acute coronary syndrome is about 20%. She gets an immediate ECG which is normal, which knocks that probability down to about 10%, but then after a history and examination she describes classical symptoms and she tells you that she is awaiting an angiogram following a positive nuclear medicine scan…….what’s the probability now then? To be honest I’d be struggling at this point, beyond telling me that she is no longer the low risk patient she appeared to be with a normal ECG. The point is that as soon as we introduce any variation to the available data, then we can get an exponential increase in complexity and uncertainty. Sadly, even the greatest diagnostic minds struggle to articulate how such complex decisions get made, perhaps falling back on clinical experience and gestalt (Ed – no bad thing by the way, but rather complex to express). The technological solutions currently being sought by major tech companies is in the development of artificial intelligence support to give insight into the complexities inherent in the interaction of clinical signs, symptoms and test results. It seems inevitable that this will lead to enhanced technological decision support for the emergency physician. At St.Emlyn’s we have done some exploratory work in these areas with colleagues from Manchester Business School looking at chest pain patients, using a Belief Rule Based system. In essence, this system looks to calculate the probability of the final diagnosis of acute coronary syndromes in a dynamic fashion as new information arrives into the model. In some ways this reflects how we as clinicians already think, with a final diagnosis varying in certainty as confirmatory or contradictory information is found. Unlike the clinician though, the model is more consistent in its response to that data input. The systems can also ‘learn’ as data and outcomes are fed back into the system. The logic that lies behind the prediction of probability for individual patients can be refined for the population that it is applied to. It is exploratory work and has not been delivered into the clinical environment as yet, but we can see it happening. In Virchester ED, Rick Body has integrated the MACS rule into a desktop platform that calculates the probability of a patient having ACS on the basis of basic clinical and ECG data. That calculated probability informs diagnostic, treatment and referral patterns. This is currently a fairly basic system but it’s easy to see how this can be automated into AI systems. The BRB system, or other forms of decision support based on learning, or artificial intelligence system opens up a novel and potentially incredibly helpful use of technology in the ED and will require a different way of practising diagnostic medicine. Our current approach is to reach a diagnostic conclusion as to whether a patient has, or does not have a disease. If we expose and introduce decision support that reveals the complexity and uncertainty inherent with diagnostics it will reveal challenges to our practice and in how we communicate them to colleagues and patients. It will also change the role of the emergency physician as we develop skills in interpreting, assessing and explaining the output of clinical decision support systems to our patients and colleagues. It does seem a little odd that I spend a significant proportion of my time linked to the internet in some way or another with the little smart phone in my pocket being capable of keeping me up to date with everything from my banking transactions through to the latest cricket score. In contrast, my clinical work is characterised by a requirement to seek information as and when I need to access it. This is clearly less than ideal as much of the information I need in the ED is time sensitive and will be advantageous to me, the patient and the system if acquired and pushed to the clinical decision maker in a timely manner. Examples of this have existed for some time, though usually on desktop based systems. In 2016 we now access the web more through mobile devices and we will see that trend access into healthcare resources. Systems under development through healthcare organisations and the major technology players such as Google and Apple herald an era of linkage of clinical information to portable devices. Whilst improving the immediacy of information gathering and transmission is something that has been developing for several years, the more recent linkage between artificial intelligence systems such as DeepMind combined with the information gathering and dissemination systems is really interesting. The combination of clinical data, artificial intelligence and the clinical decision support systems based on complex data described above has the potential to radically change the way that we interpret and use data. Google is already actively collaborating with health services to design and develop predictive, just-in-time solutions to the delivery and coordination of healthcare for general organisational tasks linked to clinical information (e.g. Hark) or in the monitoring and prediction of acute kidney injury (e.g. Streams). My reading of the current interactions between mobile platforms, artificial intelligence, data complexity and big data is that we will see an increased use of this technology in supporting the clinician to have better and more reliable information based on a combination of traditional evidence based medicine and local feedback mechanisms to refine clinical decision support to local populations. It’s also worth noting that the development and use of these technologies is not without risk and controversy. As I write this Google Deep Mind is being investigated for the controversial use of patient identifiable data. This is predictable as technology always lies one step ahead of ethics and regulation. It may well be that we do cannot realise the ethical and regulatory challenges until the technology is revealed. The rise and fall of new and old technologies. 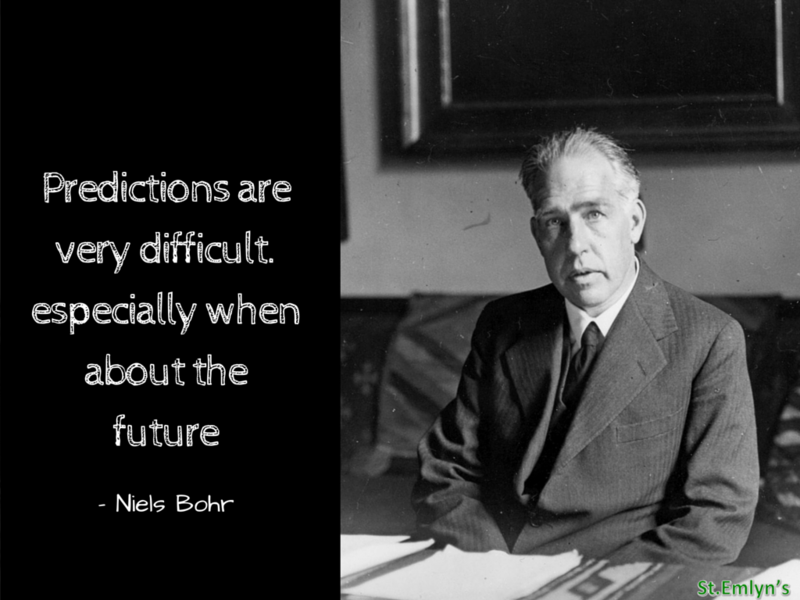 Predictions are always tricky, especially when they are about the future (Niels Bohr). This is particularly the case with revolutionary therapies that lead to a step change in practice. The point about step change is that we don’t really see it coming. In the last 20 years we’ve seen a number of smaller changes in emergency care, for example in the management of cardiac and neurological disease where research and innovation have led to interventional and thrombolytic therapies, with the latter being displaced by the former as a favoured technique. New technologies can thus change how we practise medicine and how we organise our services as a result of progressive change in disease management. True revolutionary step changes such as antibiotics, anaesthesia, and blood transfusion are less predictable. There are potential revolutionary therapies on the horizon though, for example suspended animation trials which have the potential to revolutionise some aspects of our practice. As we look to the future then, future technologies may push us in a similar direction with better diagnostic technologies. Testing for bacterial DNA (as an example) might well drive us in similar directions for infectious diseases. It’s not just diagnostics that are driving us to be emergency disease problasticians, societal expectations and the legal frameworks we practise have changed our practice from one of diagnosing disease to the prediction of disease. Technology may also drive the regionalisation and specialisation of emergency medicine. We have already seen how eyes, paediatric, cardiac, neuro and trauma services have forced the regionalisation of services as we concentrate expertise and the associated technologies (e.g. interventional radiology) in centres that can robustly provide it 24/7. This trend is likely to continue, partly led by technology, but also by the politics of health care economies, in areas such as sepsis management, geriatrics or women’s health. This trend has already begun in some centres, either through the development of separate departments or through the co-location of departments in an emergency village model of care. Technological innovation and development is not without its downside. Many of the innovations that we have seen in recent years, like ECMO or HEMS responses, will raise serious questions about equity and ethics. From an ethical perspective we must recognise that most technological interventions almost always cost money in the short term, and not infrequently in the long term too. In a finite fiscal environment, and arguably one that is becoming increasingly financially constrained, all new technologies represent an opportunity cost. In general, clinicians are wilfully ignorant of this fact. Clinicians, especially resuscitationists such as myself and my friends are justifiably accused of coveting new technologies and innovations without the academic rigour that we might apply to medicines or service reconfigurations. Asked if we want to set up an ECMO service and sure, we’ll all say yes with little or no thought to the opportunity cost in terms of the equipment, training, maintenance and time required to acquire and deliver it. Might the money be better spent on understanding less glamorous aspects of care. Do we routinely think about how new technologies impact on the less glamorous aspects of care and treatment? For services and individuals, new technologies offer the opportunity to feel good, to share the excitement and to be invited to speak at conferences such as SMACC. We are all vulnerable to the attraction of shiny new things. We also face the question of equity. New technologies and regionalisation may improve outcomes for those able to access them, but for those who cannot access them as a result of through geography or politics they may lose out. Technology driving regionalisation without addressing the questions of access will ultimately fail our populations. In terms of ethics and equity, the advance of technology in a financially constrained environment must have an economic rationale, and understanding of its impact on the wider population. So what are the key messages? Technology has been and will continue to be a significant influence to the practice of emergency medicine. Our general experience of technology will be in the refinement and revision of current technologies. These improvements may lead to service reconfiguration, specialisation and regionalisation of specialist services, together with the sub-specialisation of emergency medical departments, training programmes and practice. We are also at the threshold of a new era in healthcare diagnostics incorporating both pre-disease diagnostics through wearable technologies and improved clinical decision support through the use of web based artificial intelligence based systems. The future emergency physician will have better diagnostic support, faster, more portably and more reliable information but will still require expert skills in the interpretation and translation of this information to families, patients and colleagues. A belief rule-based decision support system for clinical risk assessment of cardiac chest pain. Guilan Kong, Dong-Ling Xu, Richard Body, Jian-Bo Yang, Kevin Mackway-Jones, Simon Carley. Google Deep Mind Health including Streams app for AKI. Bacterial DNA testing in sepsis.